A trusting, positive patient-provider relationship is vital to efficient care delivery, health education, and overall patient wellness. The relationship between patient and provider begins even before they meet. From the call center and website to check-in and the waiting room, we set the expectations for the visit. The environment of care including the lobby, the attitude of the support staff, and the systems that are hard to navigate all can act as barriers instead of door openers for patients. Each of these elements sets the tone for current and future visits. At Howard Brown Health, when a provider meets with a patient for the first time, they introduce themselves and include their pronouns. Next, the provider asks for the patient’s pronouns and provides space to make their introduction. From the very start, it’s important to keep the mood lighthearted, stay engaged, and make eye contact. Engaging body language shows that you are actively invested in the session. After initial introductions, it is important to thank the patient for choosing you as their healthcare provider and thank them for being there. Next, set the expectations for the visit and ask them what their expectations are. This helps establish clarity from the beginning and gets both parties on the same page. Tone is key part of establishing rapport from the beginning. It’s important to connect with the patient on a social level and meet them where they are at. A provider should try not to be too serious, while still remaining professional. Be open and let the patient know that they can tell you anything. When they share their health needs, journey, hopes, and struggles, be sure to show compassion and care. Ask them what their health goals are and do what you can to help them get there without judgement. One common barrier that can negatively impact a patient’s relationship with their provider is time. Patients often feel they are being rushed and do not want to be just another number in the system. It’s essential to take the time to build rapport. The time invested now will reduce follow-up appointments and improve a patient’s long-term health. If the patient doesn’t trust you, they may not feel comfortable disclosing what is really going on with them. At the end of the day if the patient trusts you to discuss sexual health related concerns, they will trust you with any other medical concerns. An additional hurdle for providers to overcome is communication. To avoid misunderstanding, ask patients if they understand what they’re being told and if any vocabulary being used is too medical or technical. Be prepared to rephrase and simplify the content if the patient does not understand. Many patients feel shame in medical settings and fear judgment by the medical community due to past experience. Verbal and nonverbal cues from the provider can evoke this discomfort and feeling of judgement, so it’s important to be aware of what cues you are sending the patient. Sexual health has been surrounded with stigma and shame. 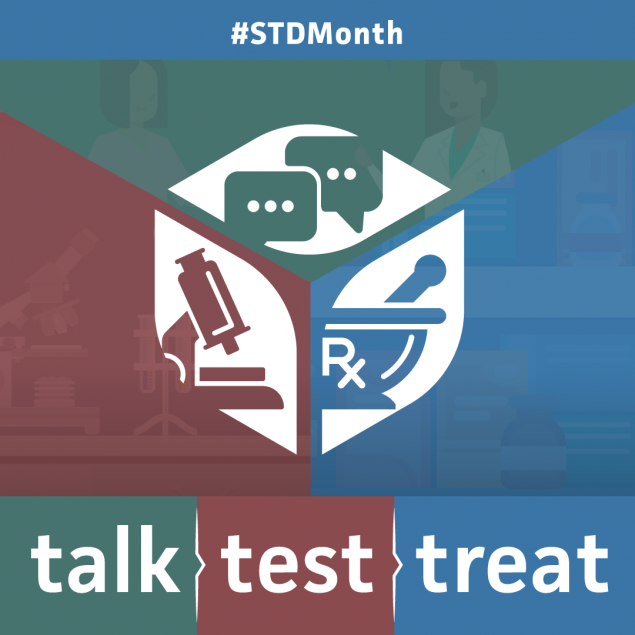 A strong provider-patient relationship makes space for a patient to talk about sexual health at every visit. Try to normalize the conversation as much as possible. Make your patients feel at ease and affirmed about their sexual health, needs, desires, and wants. At the end of the day if the patient trusts you to discuss sexual health related concerns, they will trust you with any other medical concerns. In order start establishing stronger patient-provider relationships, we should start looking at the role of medical provider as more of a partner in the patient’s care. Approach each patient-provider relationship with trust, honesty, and transparency. Be flexible and open to loosening your control over the session. Be available. Listen. Continue to show compassion and care. Be invested in their health. Celebrate wins together. Looking for Talk. Test. Treat. materials for your STD Awareness Month activities? We’ve got you covered! From this page, you can access the entire collection of Talk. Test. Treat. digital campaign materials.